A study published by Washington University in St. Louis recently examined undergraduate students to find relationships between levels of social anxiety and exercise. They concluded that the students’ perceptions of their own abilities to exercise in public directly impacted their ability to stick to a fitness program, and in many cases, individuals with high social anxiety would avoid working out in public, ie, avoiding entering a gym, as much as possible. One of the hardest things about overcoming a perception of our own abilities, is the feeling of being alone; feeling like you’re only one who doesn’t know what to do. It’s hard to ask for help, and it’s hard to watch everyone around you seem perfectly confident in what they’re doing. Making sure you have a support system is critical to blocking out those negative thoughts. As embarrassing as it is, answering questions is what gym staff is there to do, and it will help make sure you don’t end up injuring yourself by using machines incorrectly. Working out in groups or with a friend have been shown to help in sticking to a fitness regime. Having someone to share in the journey promotes accountability, motivation, as well as sharing fitness knowledge. 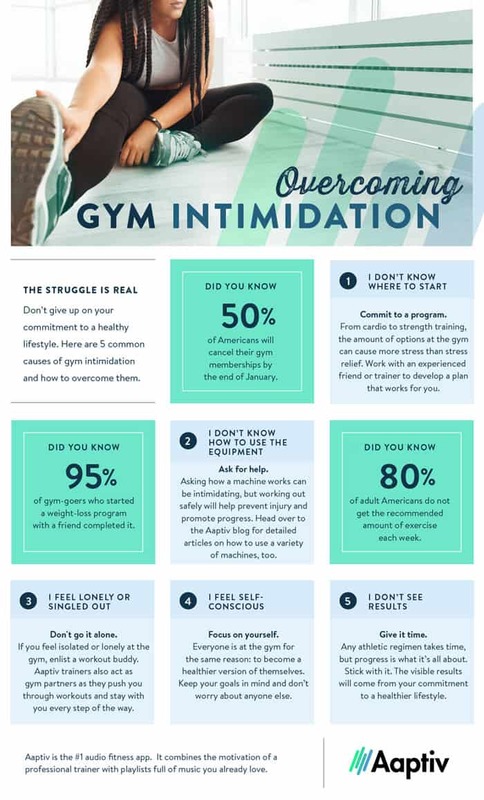 If you need some support but can’t find friends to go to the gym with, fitness apps like Aaptiv and MyFitnessPal, that provide guidance from real experts, and make it easy to track progress. Often cheaper than taking boutique classes or paying for personal training, digital fitness technologies are changing the landscape of fitness- and more importantly, they’re helping those who would be otherwise too anxious feel more comfortable stepping into the gym. Meditation and mindfulness are some the fastest growing health trends of the past few years. Taking a few minutes out of each day to practice mindful breathing and focusing attention on separating yourself from the jumbled thoughts and worries of the day have been proven to reduce symptoms of stress and anxiety. And while technology can be considered a contributing factor to stress and social anxiety, there are smartphone apps like The Mindfulness App, Insight Timer, and many others that help the everyday person navigate meditation. Any fitness program takes time to show results. The real key indicator of progress is the steady commitment to get into the gym and make other healthy lifestyle changes. Remember how you felt when you started a fitness routine, and measure that against how you feel after sticking to it for a month or two! Even if you can’t see it, the results are there. 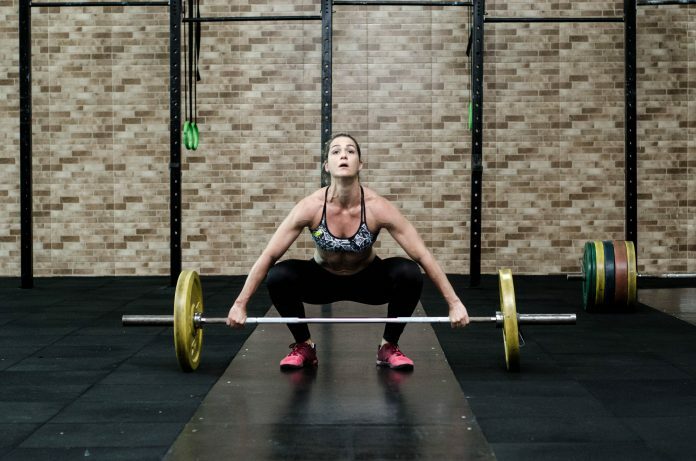 Everyone is at the gym for the same reason- to become a healthier version of themselves. Keep your goal firmly in your mind, and don’t worry about anyone else. What are some other strategies that have worked for you along your fitness journey?